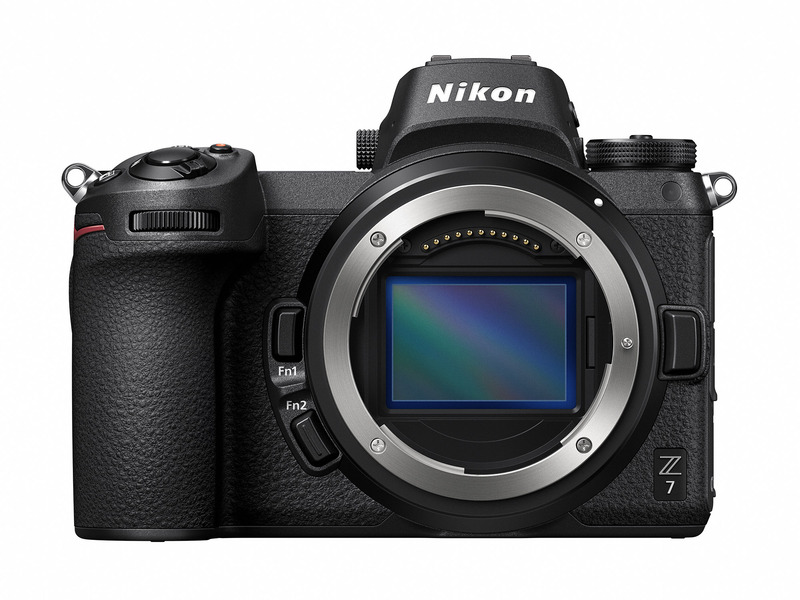 Nikon is the talk of the town today, with the Nikon Z6 and Nikon Z7 mirrorless full-frame bodies and a few lenses announced. The new Z Mount mirrorless system throws its hat in the ring as the fourth major mirrorless system. “But Jordan,” you say, “Canon has the EF-M system!” And I say, “major.” Canon, to this point, has not shown any true investment in their APS-C mirrorless system. 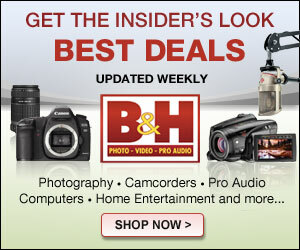 It’s a lame duck system, and they’ve tried desperately not to cannibalize their DSLR business. The EF-M system, despite being 6 years old now, still only has seven lenses. Seven; the fastest of which is a 22mm f/2. Five of the 7 lenses are slow zooms, three of which are typical kit-zoom type. That’s not a serious system. What is serious is the Nikon Z…after trying and failing with the tiny 1″ Nikon 1 system a few years back, Nikon is attempting to stem the tide of those switching to Sony by releasing two feature-rich full-frame mirrorless bodies with their first major new mount in nearly 60 years. The Z6 and Z7 (full press release information here) are set to compete directly against Sony’s A7 III and A7R III, respectively, with similar sensors and price points. The Z6 features a 24 megapixel sensor with PDAF hybrid autofocus, a big, clear EVF at 0.8x magnification and 3.6 million dots, 12 fps shooting and what appear to be very nice ergonomics. The Z7 is very similar, but with a 45 megapixel sensor, more AF points and 9 fps shooting. I’m going to touch on what I see as the positives, as well as some of the negatives in these cameras, but first, let me say that I’m glad to see another player in the full-frame mirrorless market, and with Canon rumored to give it a real go here later this fall, we should have our first real competition in this space, which should benefit consumers regardless of which system you personally use. Despite this being Nikon’s first full-frame mirrorless body, there appears to be a lot to like about these cameras. Nikon nailed it by making sure the viewfinder experience is good, putting in 3.6 million dot EVFs and a super-large 0.8x magnification, slightly larger than the Sony EVFs, which are 0.78x. The cameras are fully weather sealed, appear to have excellent ergonomics and the AF system features a wide area coverage of 90%, similar to the point coverage of the Sony A7 III. Features like time-lapse movie creation and an intervalometer, plus excellent video features will also be well received. First impressions by those who have handled it have positive things to say about image quality, ergonomics, and a generally quite capable autofocus system. The initial lens lineup is small, but decent, with a 24-70mm f/4 and two f/1.8 prime lenses, a 35mm and a 50mm. The roadmap fills out the system nicely, such that by 2020, the system should have a very nice core of lenses. Until then, they offer an adapter to use existing Nikkor AF lenses, with what I’m sure will be excellent AF speed and usage. They also put in 5-axis in-body image stabilization to compete with the other mirrorless makers. In all, it’s a very solid package that provides the new Z system with two bodies that are very reminiscent of Sony’s A7 and A7R lineup of cameras. 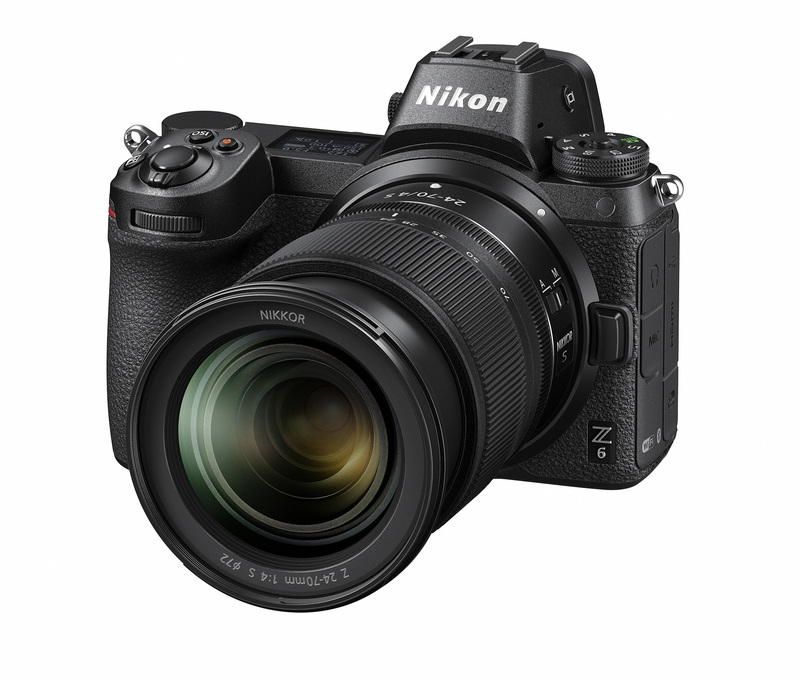 Nikon also tries to match them on price, with the Z6 coming in at the same $2,000 price tag as the A7 III, though the Z7 is a few hundred dollars more costly than Sony’s A7R III. Despite the lot of good that is there, there are also some fairly glaring omissions and potential issues. First, the burst shooting specification of 12fps and 9fps for the Z6 and Z7 respectively is a bit misleading. These rates are exposure locked, and do not have live-view update between exposures, but rather will show a slide show of the latest image. This can be useful if you’re shooting someone doing something that requires a burst, but isn’t moving much, but it’s fairly useless for tracking motion. While I haven’t seen hard numbers yet on the Z6, the Z7 is only capable of shooting at 5.5 fps with live view updating and changing exposure. This is fine, but certainly not groundbreaking. The A7 III can do 8 fps with live view and exposure updates, while the A9 can do 20 fps. Second, the buffer in these cameras seems extremely small. DPReview reported only 25 JPEGs and 18 14-bit RAW files in a burst before the buffer fills the Z7. Ouch. Probably the biggest issue many will have with these cameras is the single XQD card slot. XQD cards are pretty robust, and are very fast, but they are also really expensive. A 64 GB XQD card is $139, while a 64GB SD card can be had for $20 if you don’t mind slower speeds, but even a UHS-II 64GB card can be had between $55 and $110. However, only having one card slot makes these cameras a non-starter for many professionals, especially those shooting events like weddings. For these shooters, risking an entire shoot on a single card is not something they are willing to do, so the fact that neither camera has dual slots is a big downside, when the competition features dual slots throughout the range. Another big down side is battery life. Despite the fact that Nikon’s battery is slightly larger than Sony’s Z100 battery pack, the efficiency of the camera appears to be way worse, as the Z6 has a CIPA rated battery life of 310 shots, compared to 710 shots for the A7 III, so you can expect less than half the battery life of the nearest competition. Finally, the lens lineup will take a fair bit of time to develop. This is just par for the course for a new system, but it’s definitely something to take into consideration. The 58mm f/0.95 is enormous. We don’t have final details on weight, but it comes with a tripod collar, to give you an idea. The lens is significantly larger than the Leica 50mm f/0.95 Noctilux, the Mitakon 50mm f/0.95 for Sony E and pretty much every other f/0.95 lens out there. 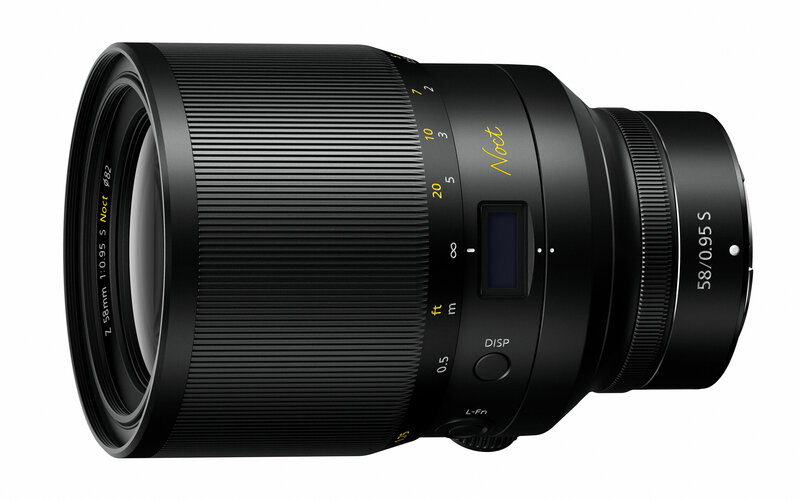 Given the hype Nikon is putting on this lens, I fully expect it to be pretty awesome. Two caveats, though: it’s manual focus, and will cost around $6,000, so you are really going to want that extra half stop of speed to shell out for this baby. In all, it’s an intriguing set of announcements today. The Z6 and Z7 are Nikon’s big jump into the mirrorless world, and I think they’ll be successful cameras for the company. While I don’t see too many Sony shooters switching over to the Nikon side, the cameras look to be good enough to entice Nikon shooters that were thinking of jumping to mirrorless to try their hand at Nikon’s offering. They don’t break any new ground, but for an initial release, I don’t know if they needed to. I look forward to giving the system a run through, so expect a review of either the Z6 or Z7 this fall. Let’s not forget, the majority of Sony users are former CaNikon users, so you should expect some (not all) to move back over, especially Canon ones, because 90% of Sony Alpha shooters I see on the streets if NYC have Canon lenses on them. Honestly, i have yet to see and actual Sony lens, all I see are red rings. The L-mount alliance announced by Panasonic,Leica and Sigma will make life difficult for Canon and Nikon in the mirrorless world. It’s a full stop of speed over a 1.4 lens.